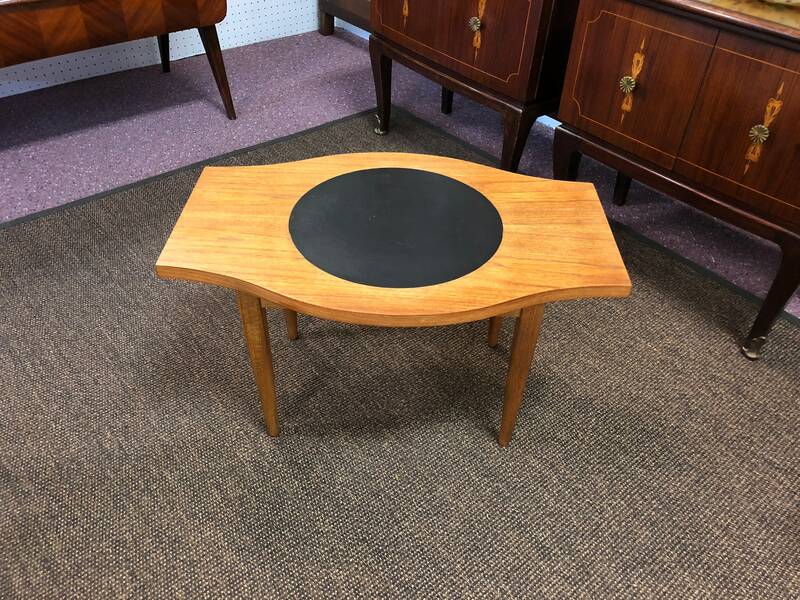 An unusual mid-century modern table, designed by Paul McCobb for Lane, Signature Collection, C. 1960s. 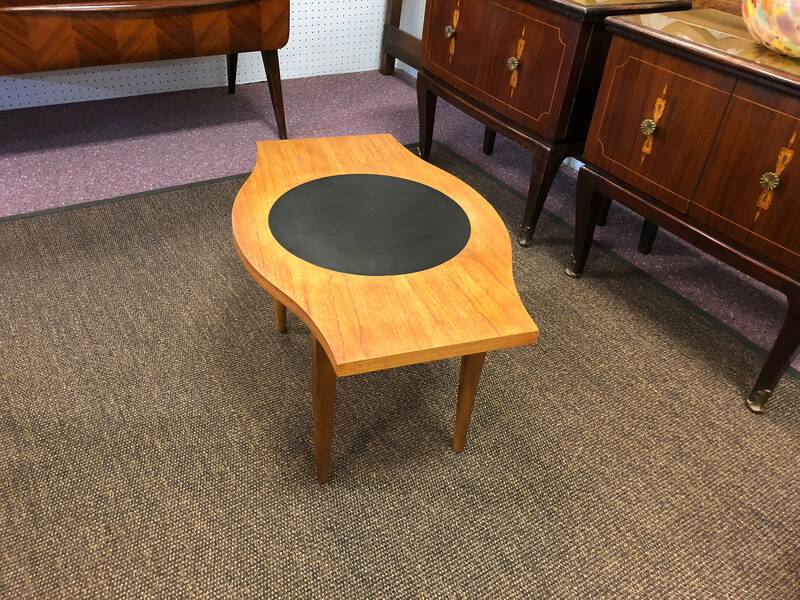 Constructed of walnut wood with a round vinyl or leather insert to the center, likely intended to provide moisture protection for drinks or perhaps a plant. A unique and rare find! 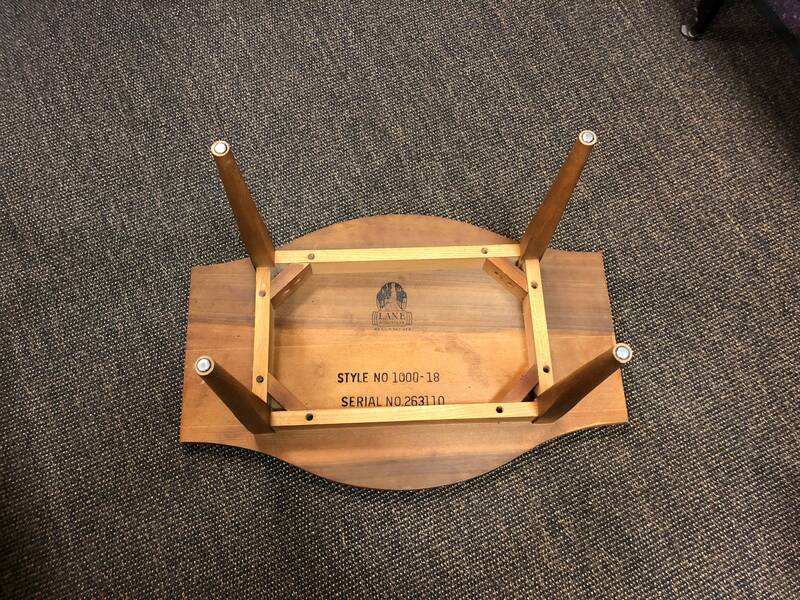 Condition: Structurally solid and in good condition with light to average wear consistent with age. Shipping: $85 Via Insured UPS Ground Shipping. Approximately 5 business days.